It has been an exciting month in the Social Science Department. 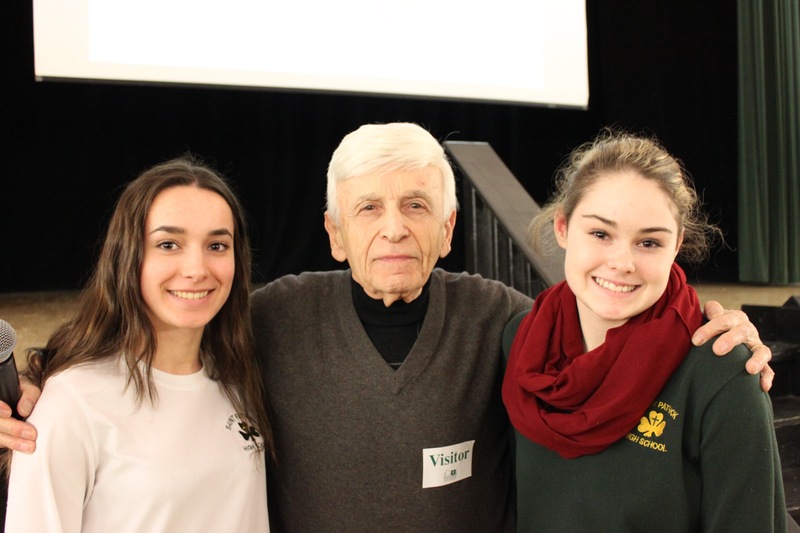 We had the privilege of welcoming back Max Eisen, a holocaust survivor, to speak at our school. 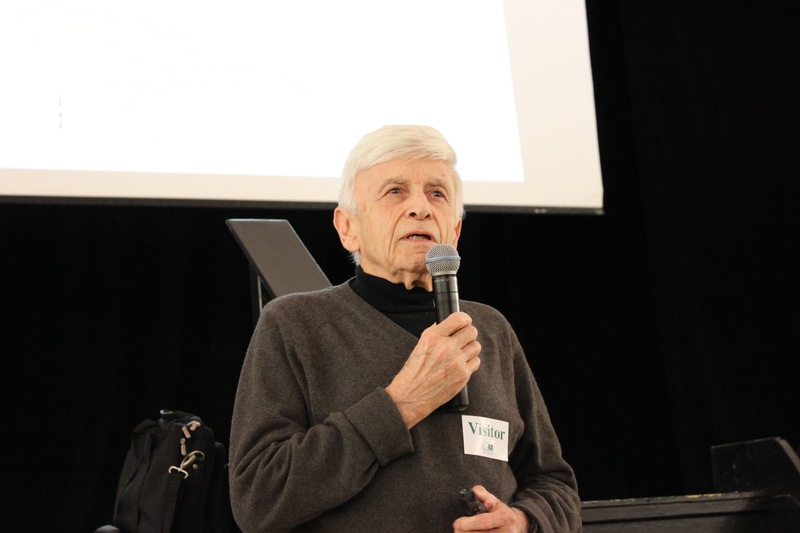 In Max’s very moving presentation he describes how in the spring of 1944 he along with 60 members of his family were sent to Auschwitz concentration camp. He describes how through chance alone, he was able to survive. Except for himself and two cousins, all of his family was murdered. Forced to go on death marches he was finally liberated at Ebenesee concentration camp on May 6th, 1945. 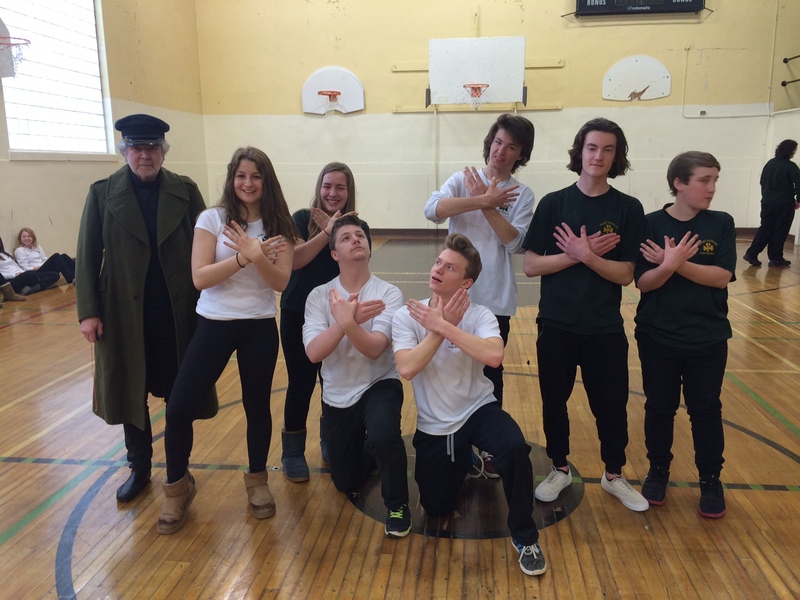 Max with students, March 2016. In addition, in Mrs. Caza’s class, WWI came alive with many hands on activities. 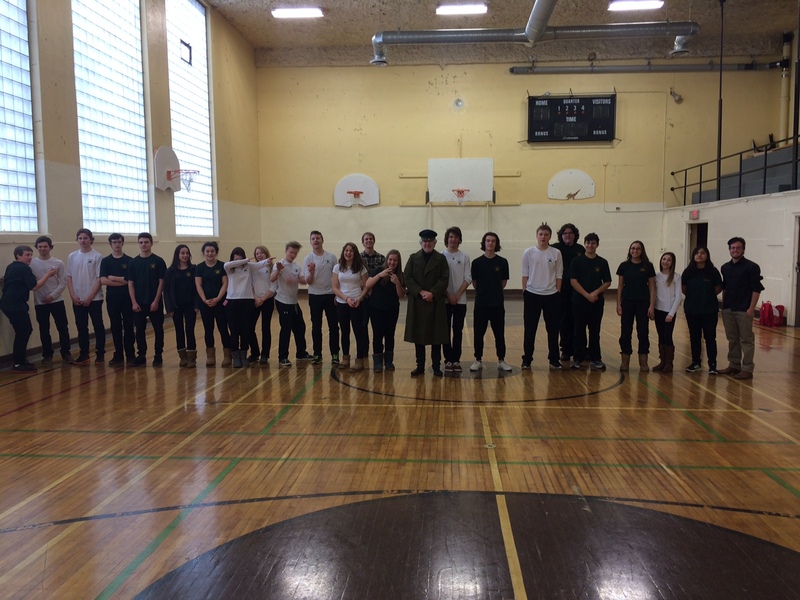 Mr. Epp and students from the faculty of education visited and engaged students with many activities that soldiers would have performed during WWI. Code breaking, morning role call and the creeping barrage were a couple of the activities. The “Screaming Beaver” platoon was successful in winning the top prize for performing exceptionally in all of the given tasks. To top off the afternoon, we even had a special visit from the illustrious, Sir Sam Hughes! Also this month in Mrs. Caza’s class students went back in time to the front by playing the board game, No Man’s Land and the interactive video game, Over the Top.